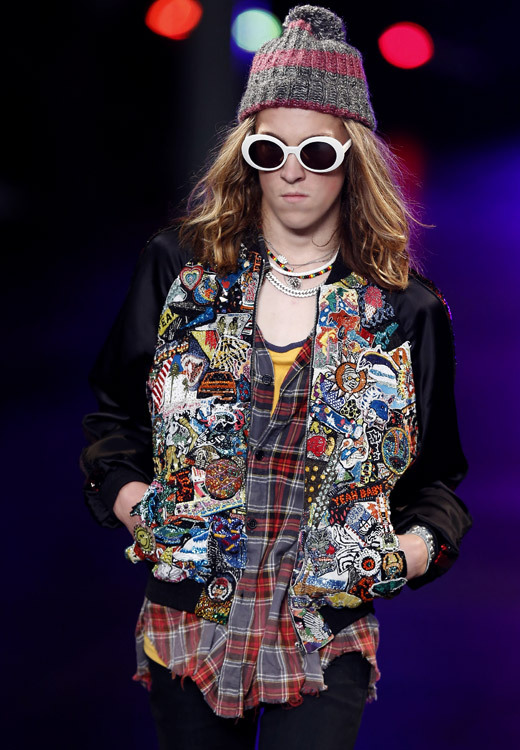 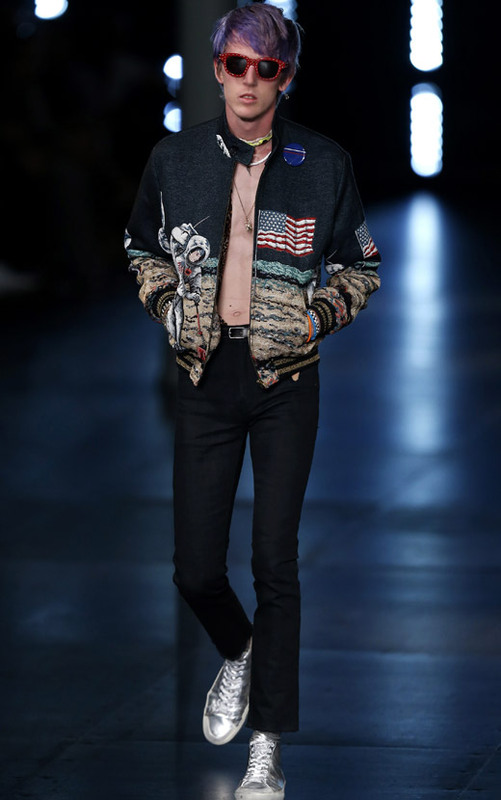 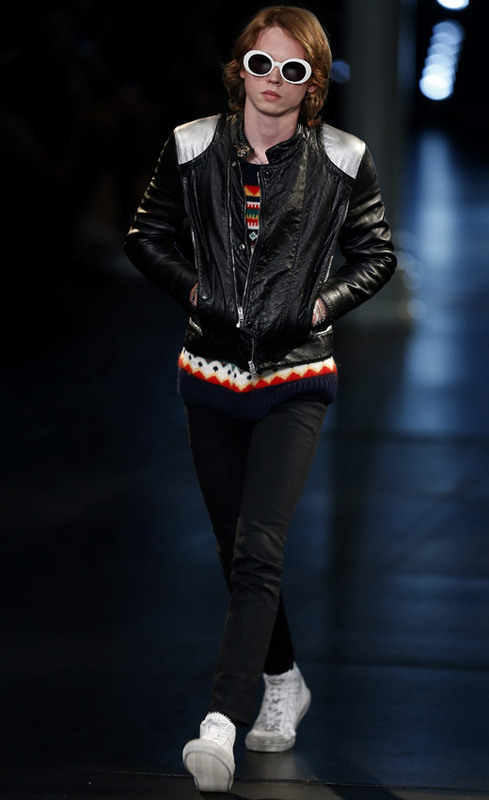 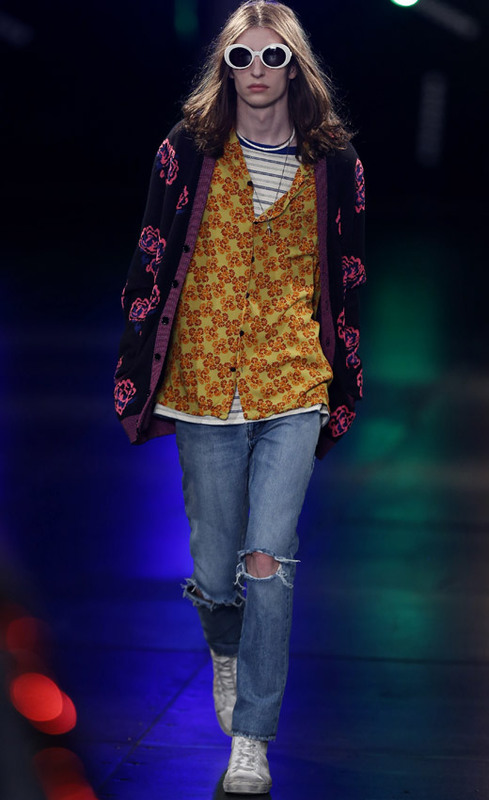 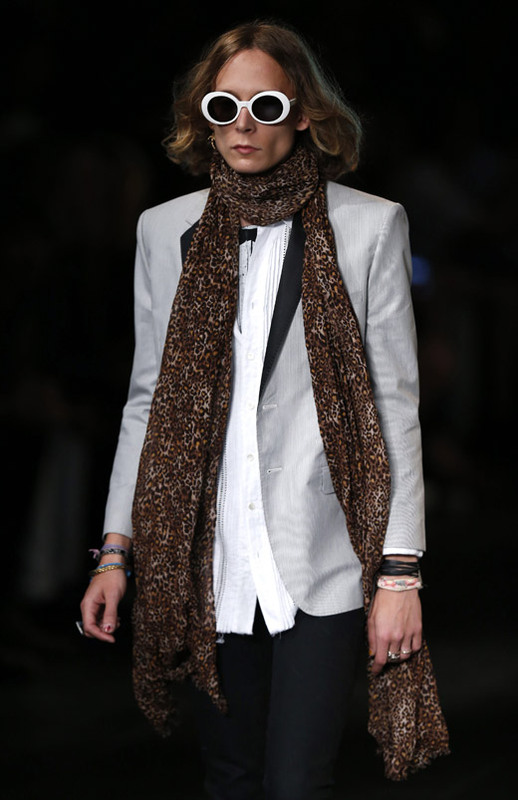 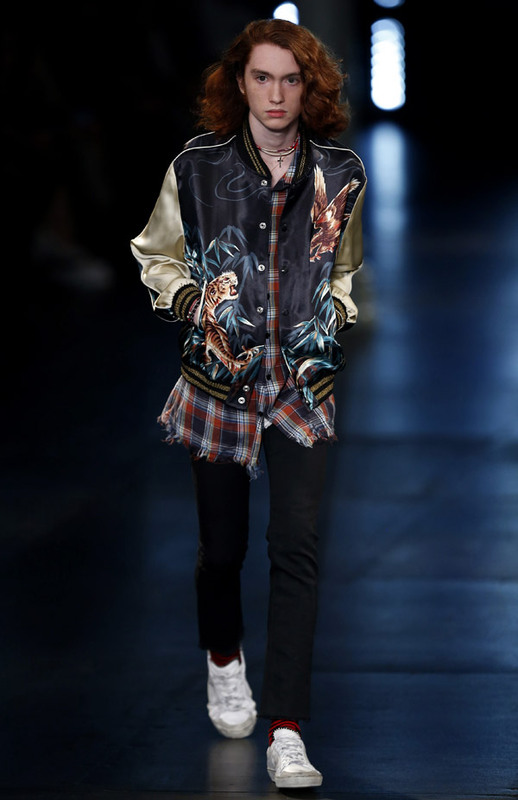 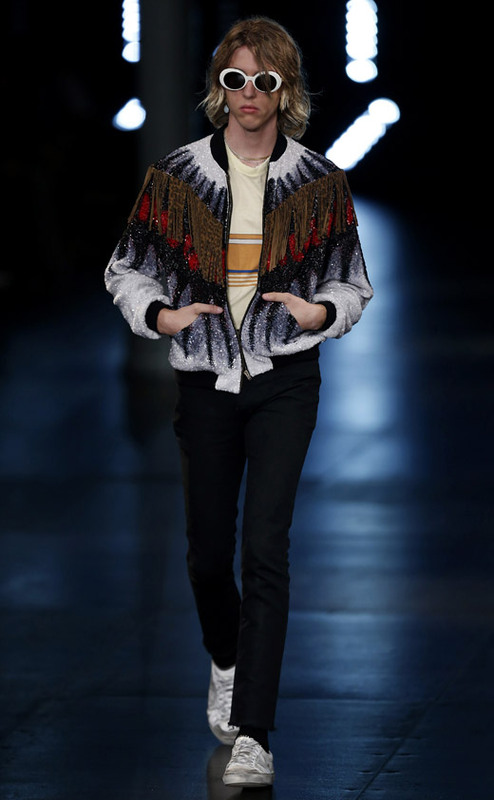 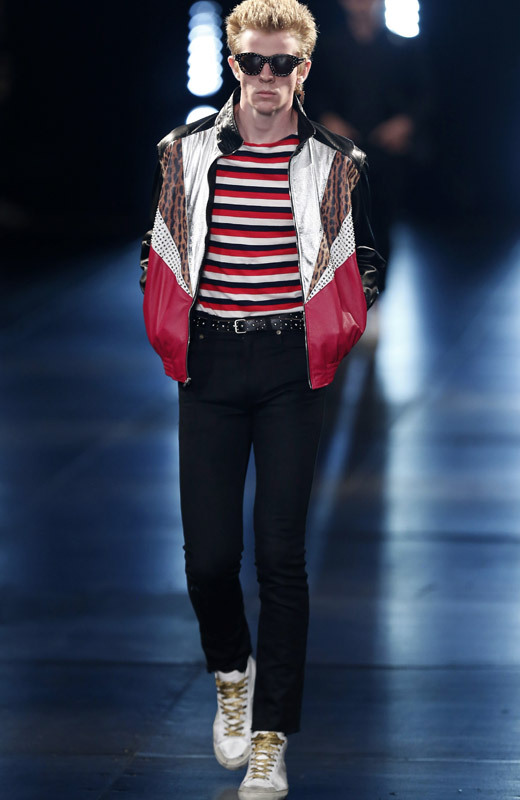 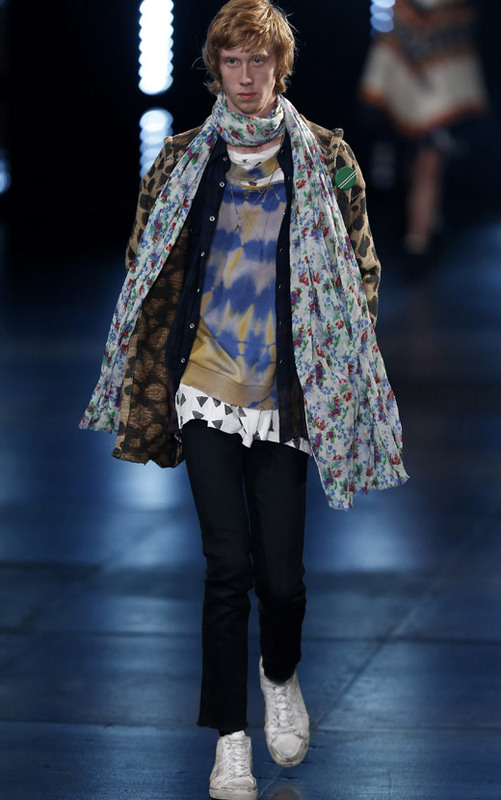 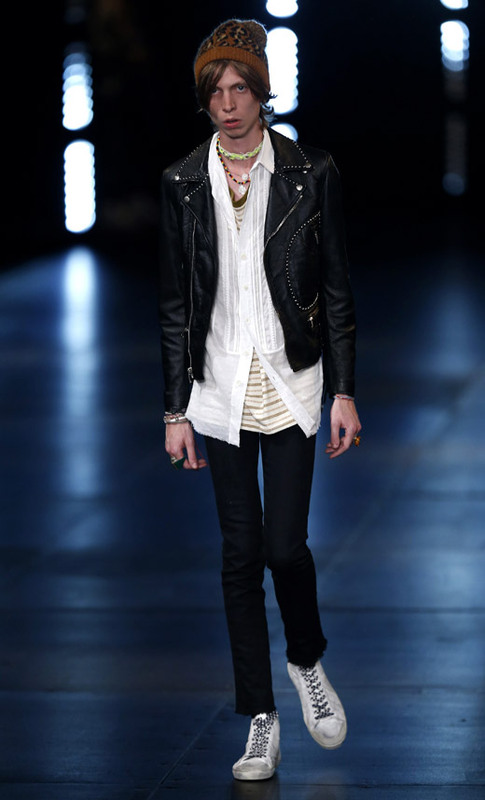 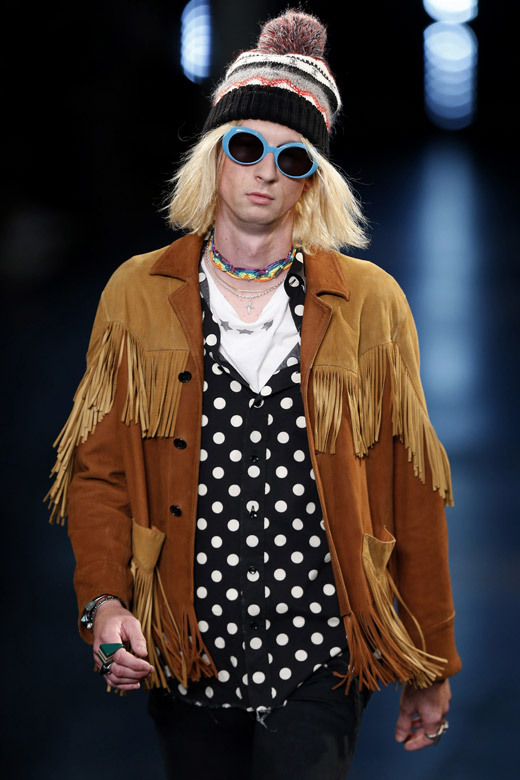 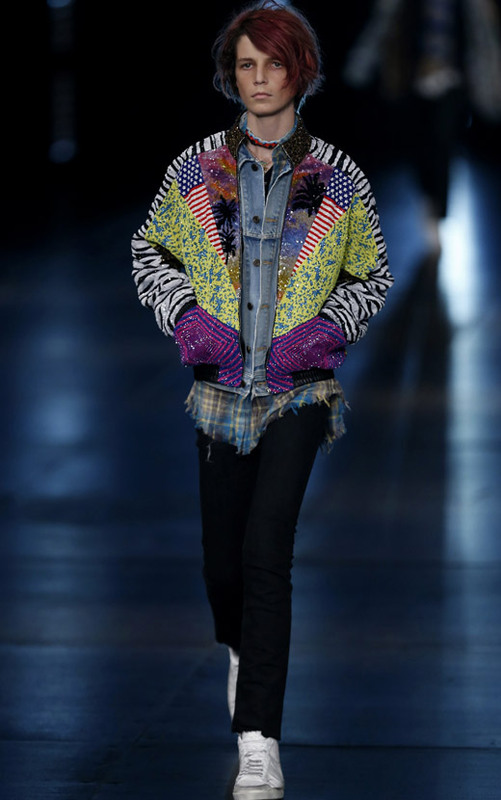 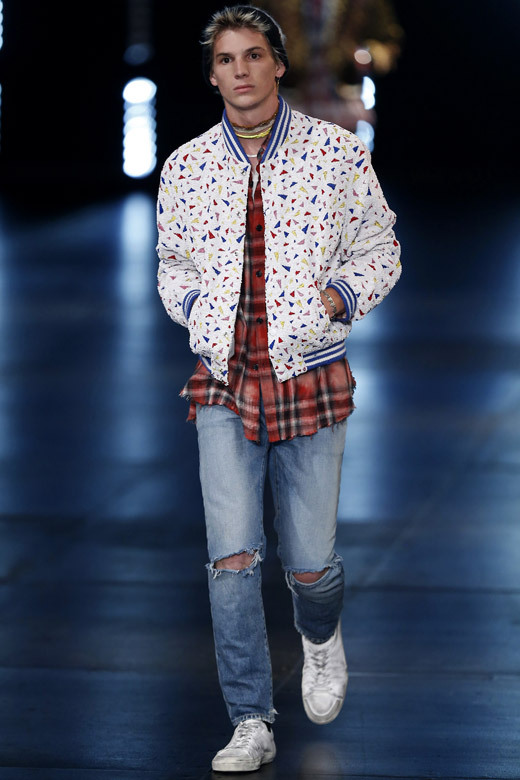 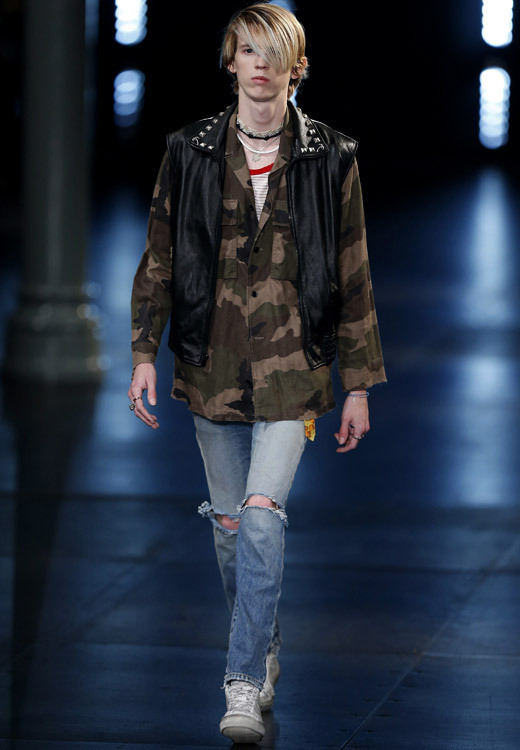 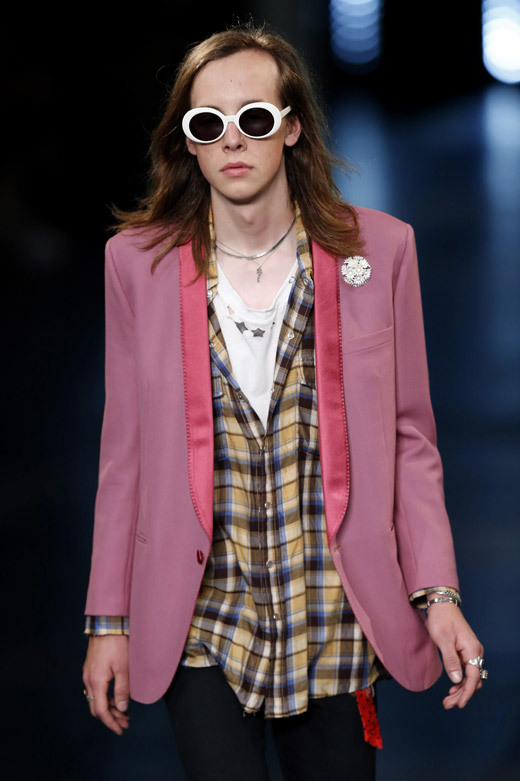 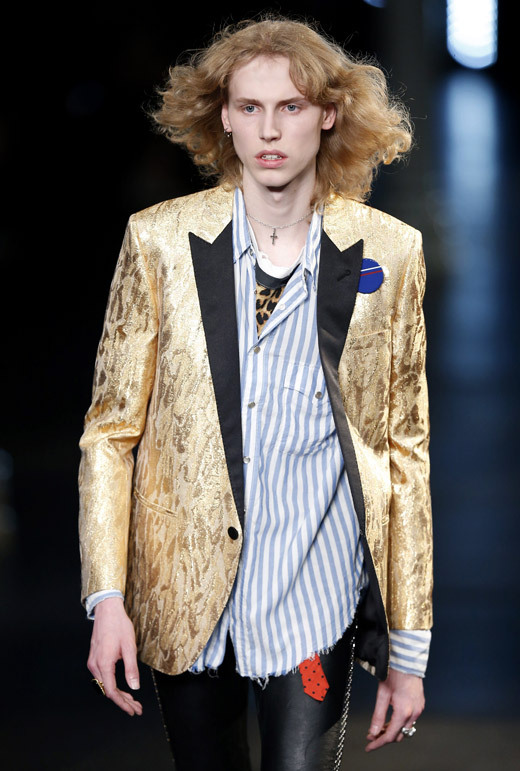 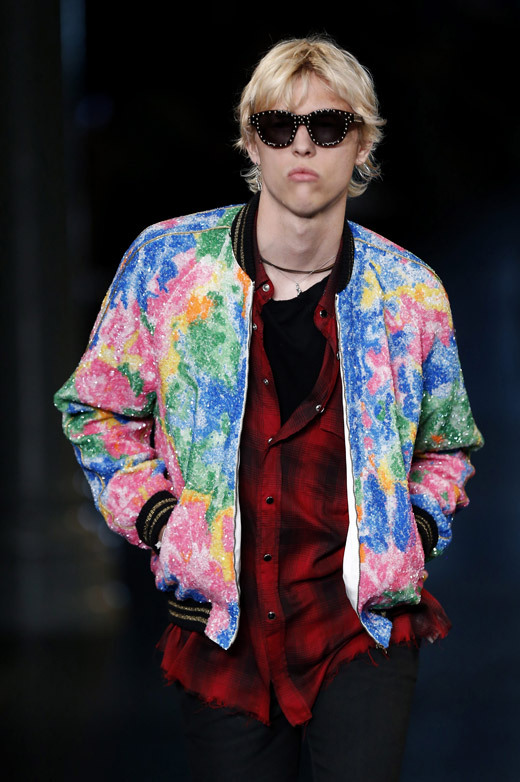 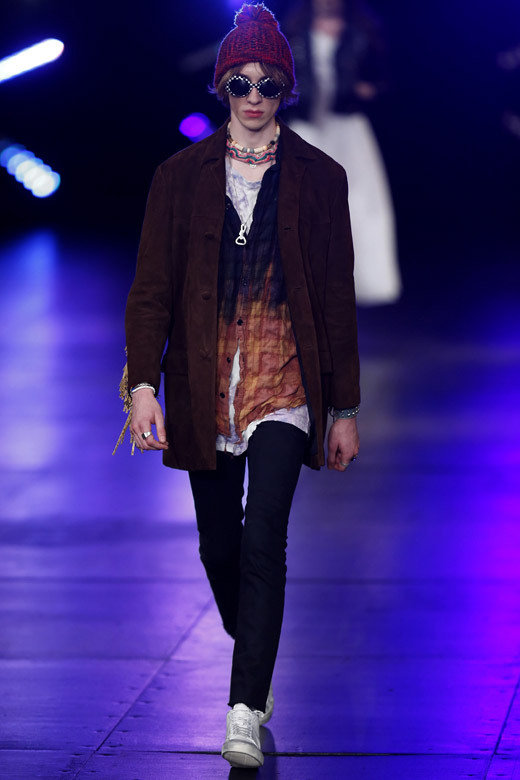 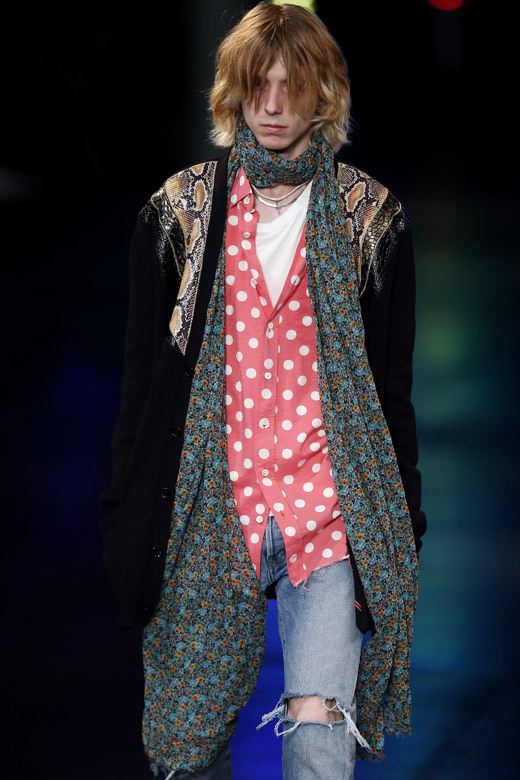 Yesterday, during the Paris Men's Fashion Week (June 24-28, 2015), French designer Hedi Slimane presented his latest men's fashion collection for Saint Laurent fashion house. 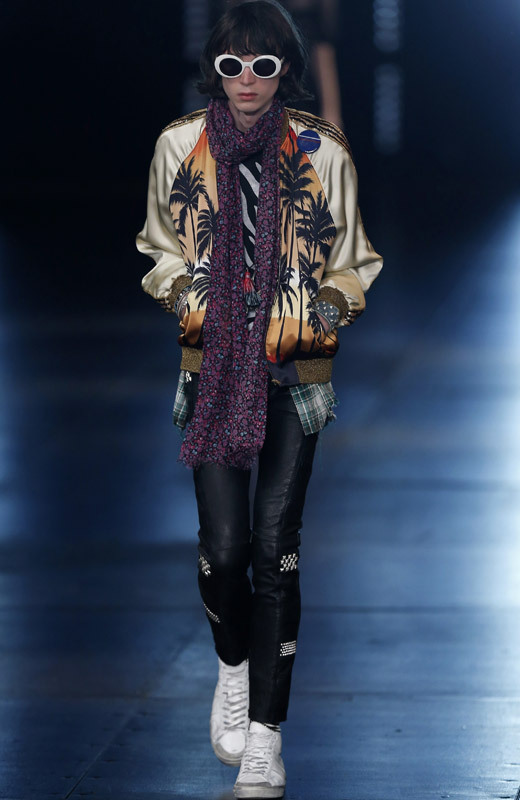 It is called 'Surf Sound' and is dedicated to 'contemporary Californian surf music culture'. 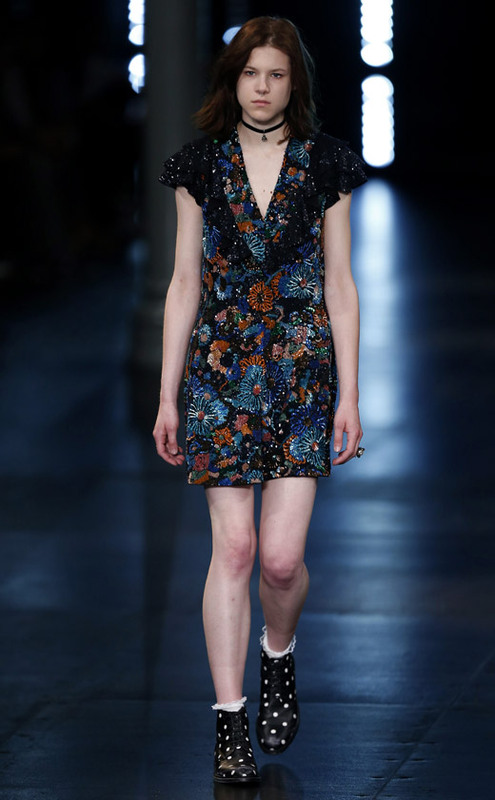 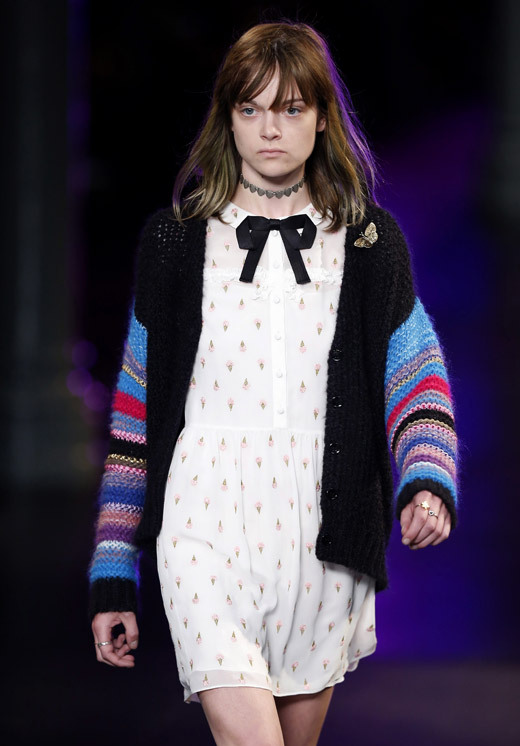 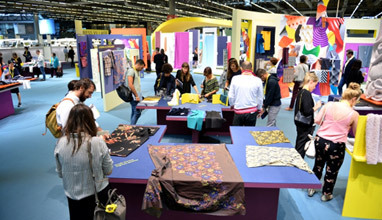 The collection is really rainbow-like and fresh, full of embroideries and beading. 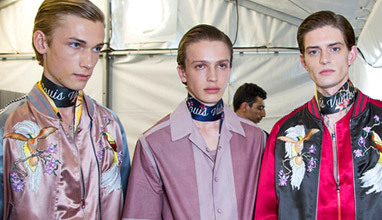 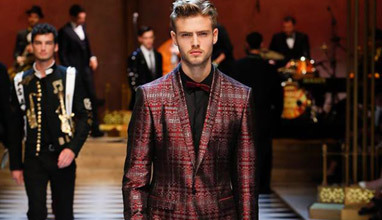 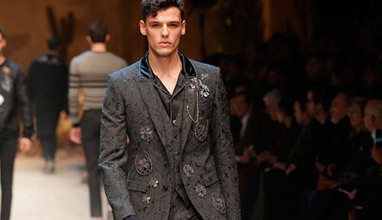 Two of the male models, who presented the designs were Charlie Oldman and Dylan Brosnan - sons of the Hollywood actors Gary Oldman and Pierce Brosnan, who were sitting on the front row. 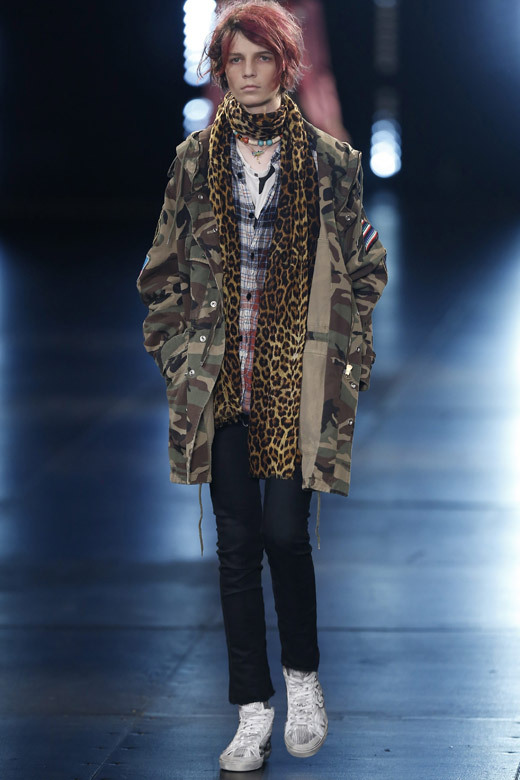 This was a catwalk debut for both boys. 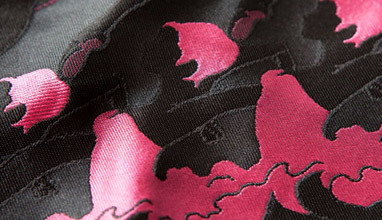 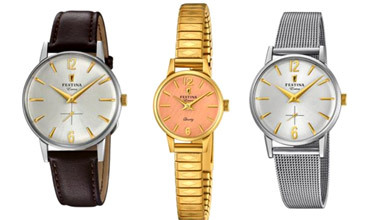 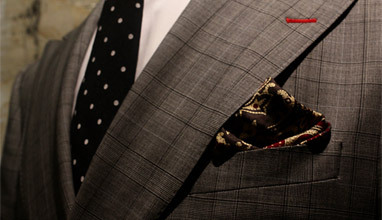 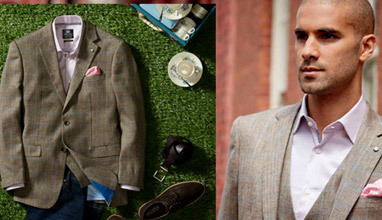 The collection includes also a few womenswear pieces. 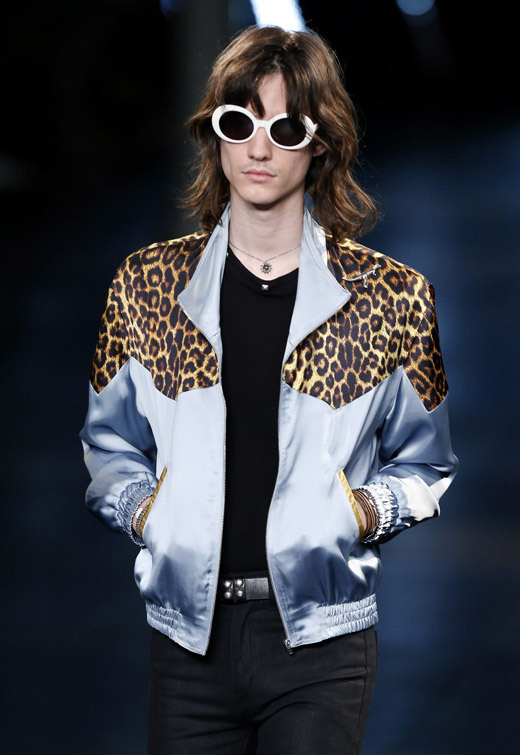 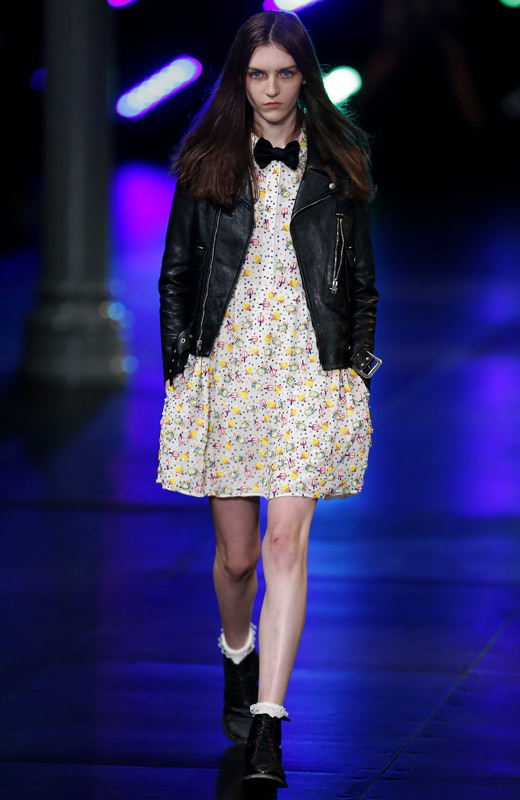 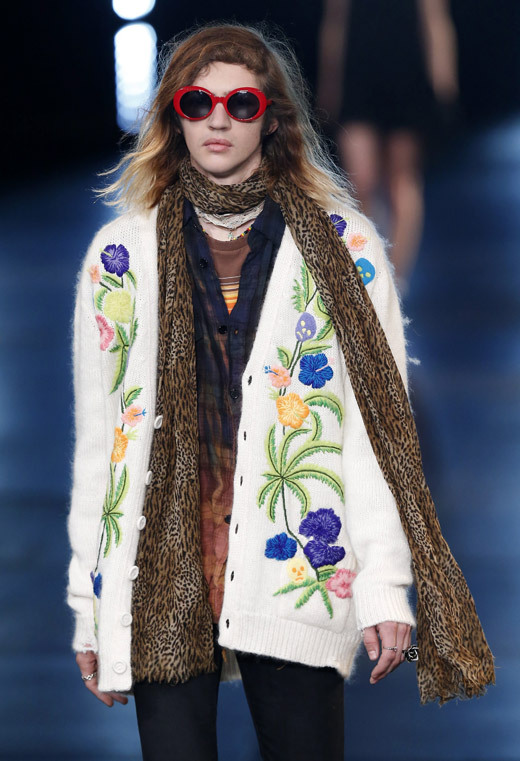 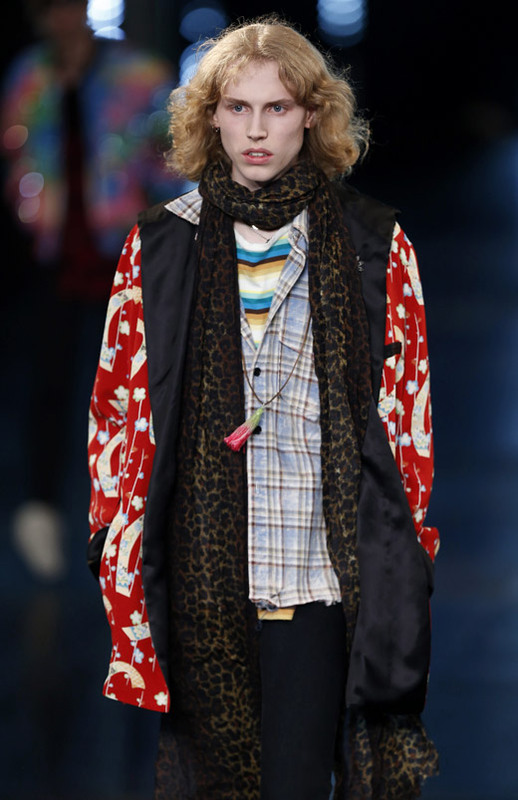 Saint Laurent Spring-Summer 2016 men's collection offers a variety of accessories - flop knit ski hats, fly away animal print scarves, trucker caps, white bug eyed sunglasses - in addition to fringe jackets, torn denim jeans, lumberjack shirts, patchwork, baby doll dresses, leopard prints, army coats, slim silhouettes and sequined garments, bringing the spirit of a late 60s hippy.